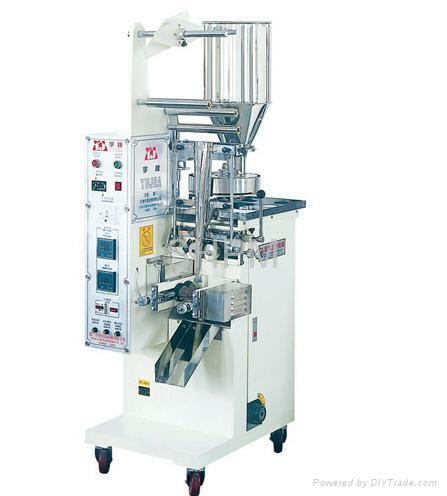 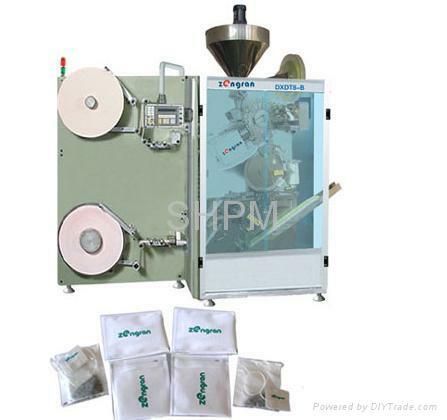 DXDT8 Tea bag packing machine has the function of auto filling, bag sealing, thread affixing, labeling, external bag heat sealing, auto counting, etc. 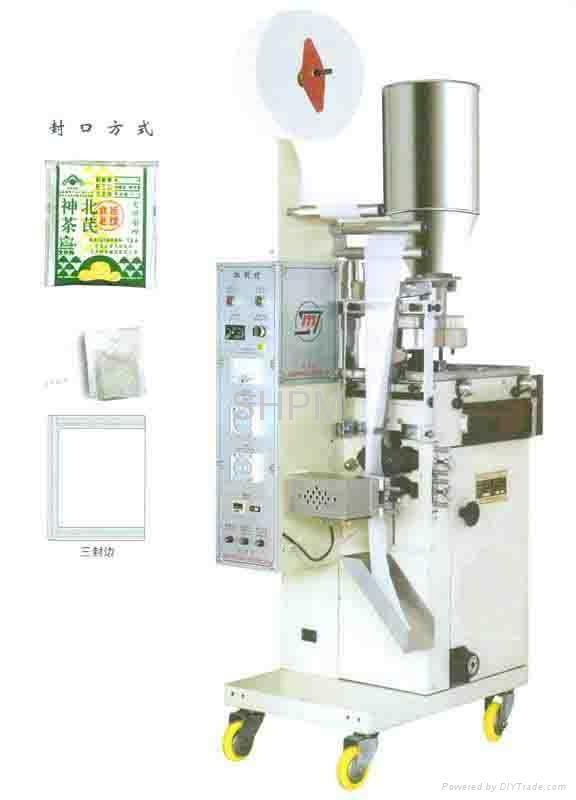 It conforms to food hygiene standard, and low cost high-efficiency ideal equipment for tea and foodstuff industrial sector. 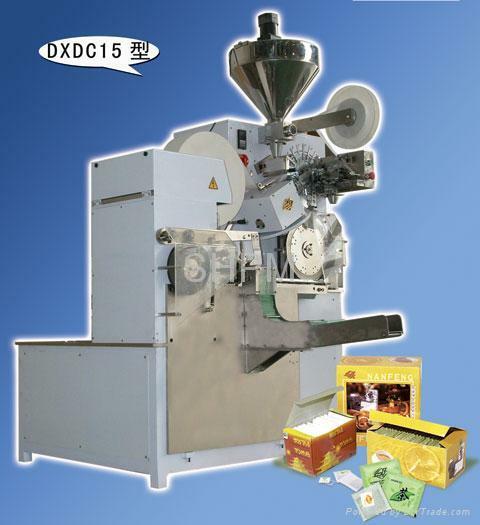 It is mainly used packaging of medicine tea, beauty-slimming ea, health-strengthening tea or other similar fine-particle products.